An emergency first aid kit that tells you about how to cope with things from cuts and falls to heat exhaustion to frostbite. Emergency blanket to keep people warm in case they go into shock. 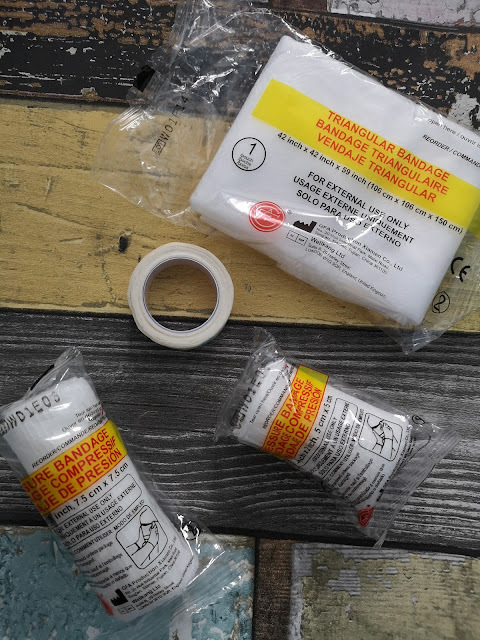 Adhesive bandage tape for securing the bandaged and plasters in place. The Saddlebag attaches to the bike underneath the seat and the velcro that holds it on was very Secure. When we opened the seams were ripping apart, where they had been sewn so tightly together, so don't open it too wide. It had everything we needed for a small accident and it saved me having to console Tilly whilst she fell off her bike and we had to walk to a shop to buy plaster. It had the cleansing wipes too, which are the most important thing to me because I want to be sure that the wound is clean. The bag also had a bit of space in there so you could pop in a couple of bike tools, or a bicycle puncture repair kit. 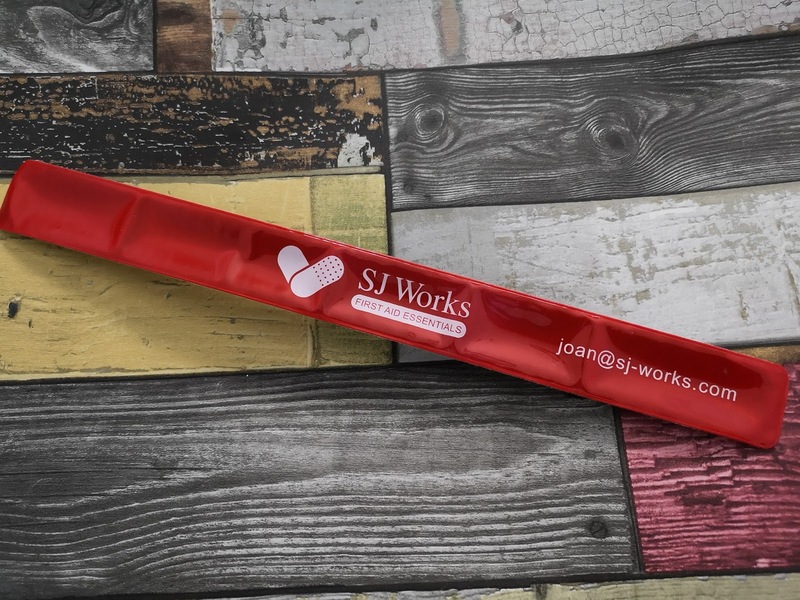 The bag is designed to be reflective too and as a parent, it's important to have reflective things on a bike to make her seen. 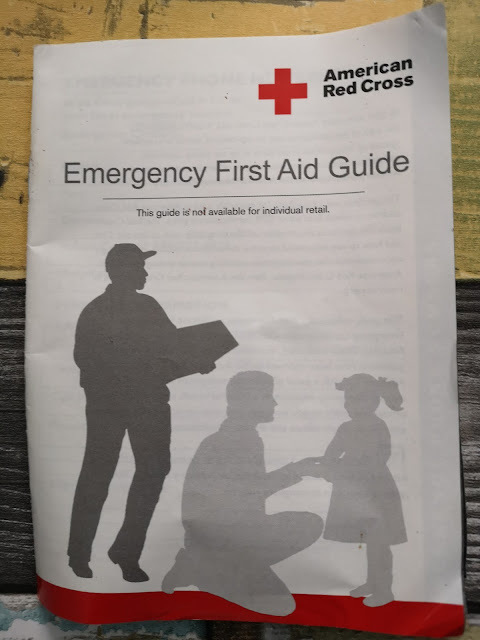 The first aid booklet is from American Red Cross and you can be assured it is all correct information in there, but always keep up with first aid training where possible. If you don't want a larger first aid kit, they also have a smaller one in a plastic box that is excellent for trips out and holidays. 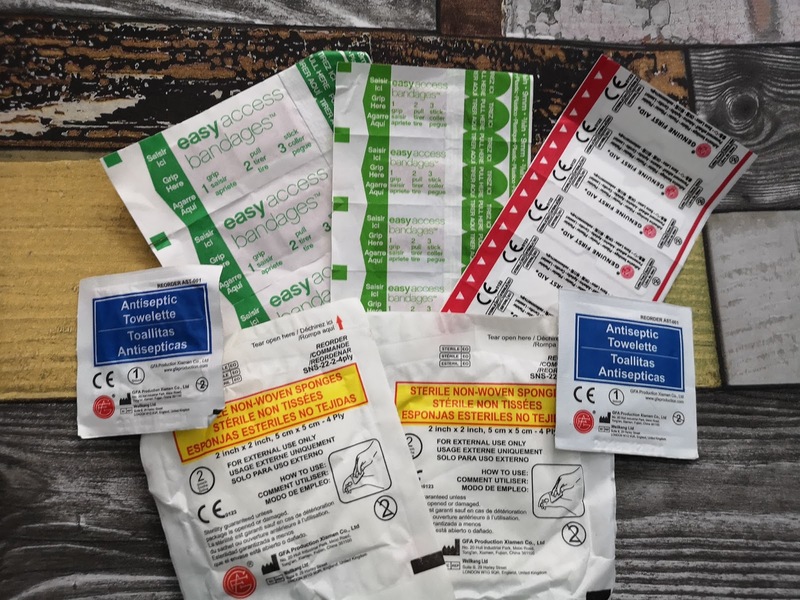 Whenever I go away, I always pop plasters and painkillers in my bag, but when it comes to an accident or a headache - I can never actually find the things. So this means that I can keep everything in one place. 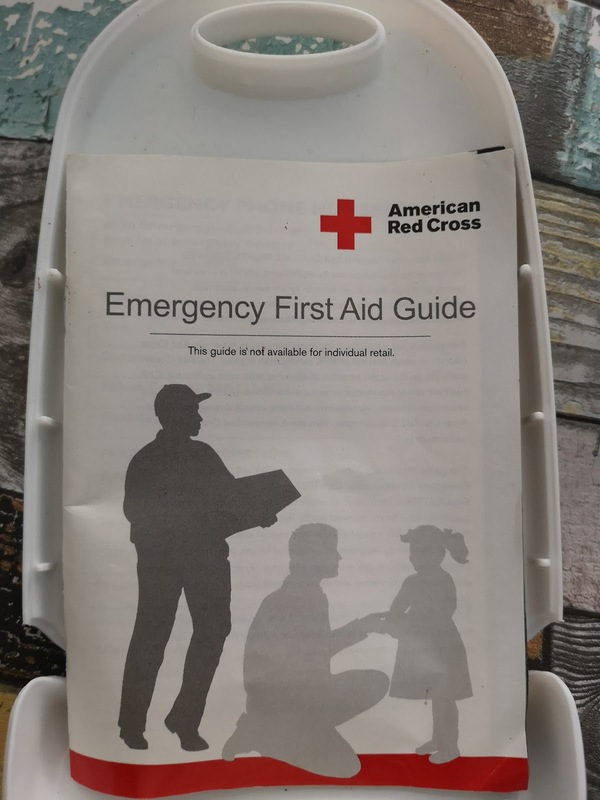 I feel the price is a little more than I would normally pay for a first aid kit, but you do get more than enough in there to help in situations on an accident. 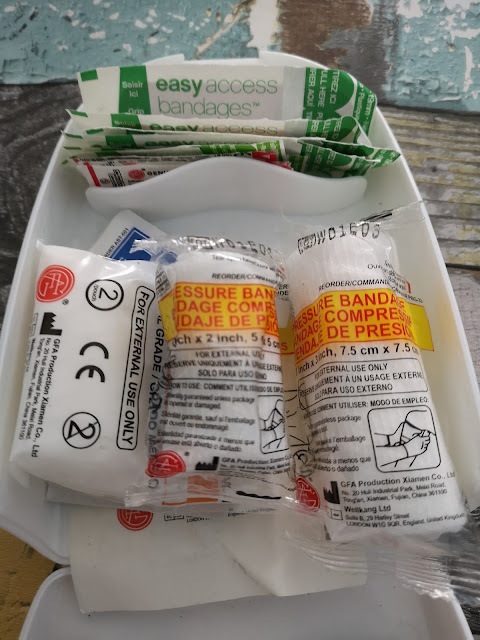 First aid gloves to protect yourself from blood and make sure your hands are sterile. It is perfect for trips out for the weekend, or even to take on a holiday. It has a hard case and you even have room to pop in some painkillers if you or your family hurt themselves, and like many other parents, I pack travel sickness pills, antihistamine and many other things. It's easy to find in your suitcase or bag because it has has a distinctive red sticker on the front and it is available from S J Works Shop for $9.99 but it is well worth the money for a first aid kit like this. 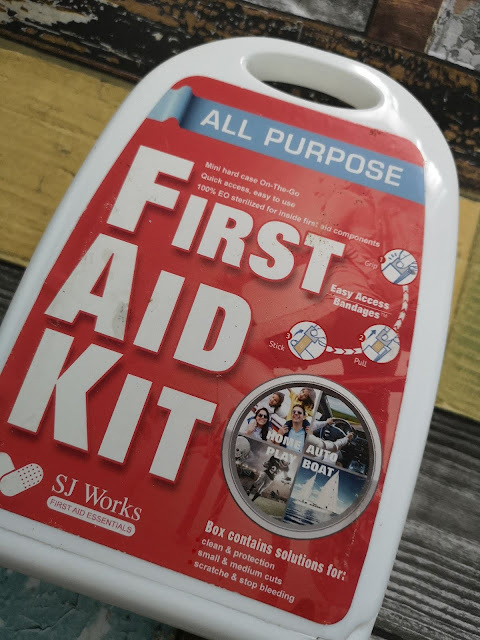 With all of the first aid products within the selection of first aid kits that SJ Works supply, the wording is in English, French and Spanish so you can use these with confidence if you speak any of these languages and it will also help if you have an accident abroad.